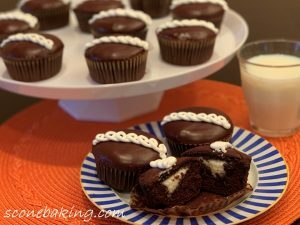 Growing up it was a treat anytime we had Hostess Cupcakes for lunch or snack. I loved that chocolate cake with the creamy filling. Before I ate the cake part, I would pick off the chocolate glaze that had drizzle down the sides. I decided to create my own version of this wonderful cupcake. First, I needed a sturdy chocolate cupcake that could stand up to the creamy marshmallow filling. So, I used bread flour instead of all-purpose flour. To increase the chocolate flavor, I omitted any dairy products like milk, buttermilk, butter or sour cream, and I used 3 different types of chocolate (bittersweet chocolate, cocoa powder, and chocolate syrup). Then to make the chocolate flavor pop, I added some espresso powder (don’t worry, you won’t taste the coffee). 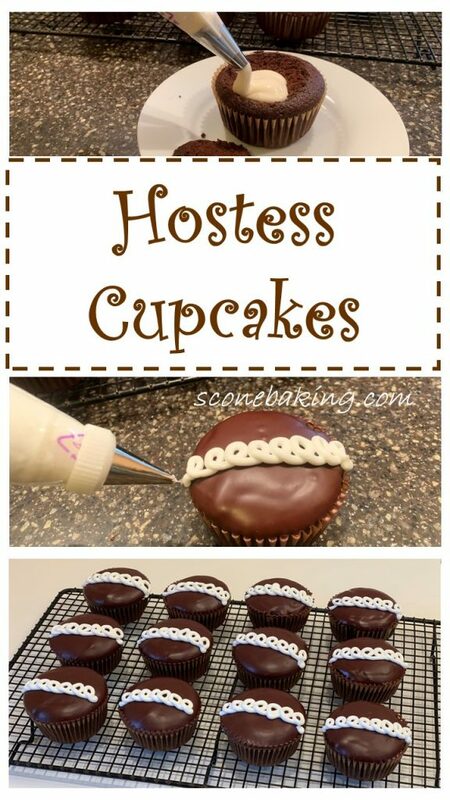 For the cute little curlicues on top, I used a royal icing that could set-up firm without spreading on the delicious chocolate glaze. 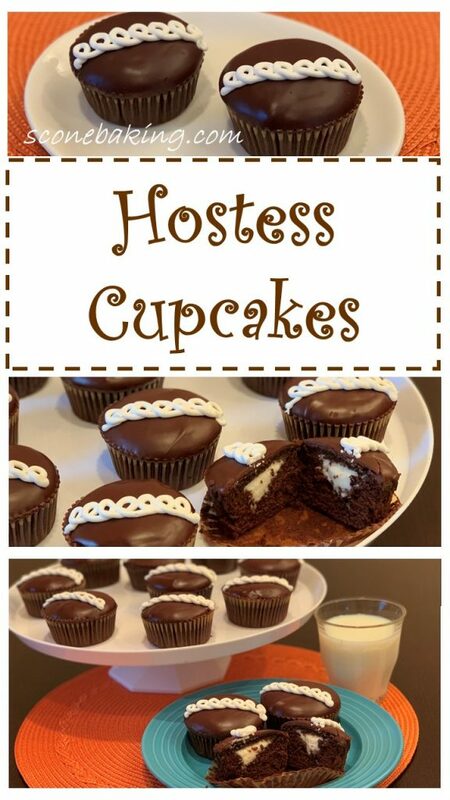 You and your family will love these delicious treats. You can take them to school or work for lunch, and they freeze well. Preheat oven to 350 degrees F. Line 12-cup muffin tin with baking-cup liners. Place 3 oz. chocolate, cocoa, chocolate syrup, and espresso powder in a medium bowl; pour 3/4 cup boiling water over chocolate mixture, whisk until smooth; set aside to cool. 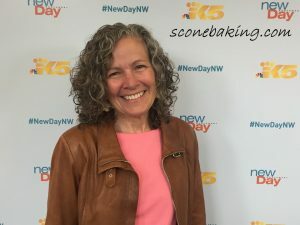 In a bowl of a stand mixer with a paddle attachment, add bread flour, whole wheat pastry flour, caster sugar, salt, and baking soda, stir on low speed until combined. Add oil, eggs, vinegar, and 1 tsp. vanilla extract to flour mixture; beat on medium speed until well combined (about 1 minute). Add cooled chocolate-cocoa mixture, mix on low speed until combined, scraping sides and the bottom of the bowl, then increase speed to medium, beating for 1 minute until smooth. Transfer batter to a 4-cup liquid measuring cup. Pour batter evenly into prepared muffin cups 3/4 full, using a spoon to catch the drips between pouring into each cup. 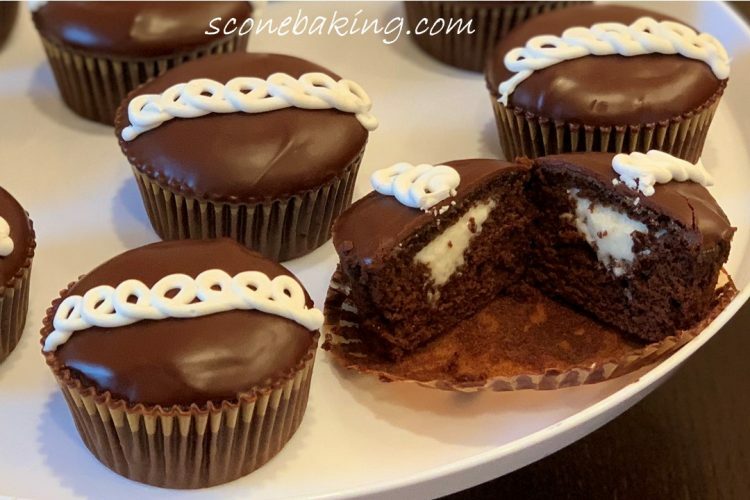 Bake at 350-degrees F. for 17-20 minutes, until inserted toothpick comes out clean, or internal temperature is 200-degrees F. Cool cupcakes on wire rack for 5 minutes, then remove from muffin tin. Let cool completely. While the cupcakes are baking, combine water and gelatin in large bowl and let sit until gelatin softens, about 5 minutes. Microwave until mixture is bubbling around edges and gelatin dissolves, about 30 seconds. Stir in butter and vanilla until combined. Whisk in marshmallow cream until smooth; refrigerate 30 minutes, then give it a stir to re-blend. Put marshmallow mixture in a piping bag fitted with a #12 tip; set aside. After the cupcakes are filled, microwave 3 oz. chocolate, 3 Tbsp. butter, and corn syrup in small bowl, about 30 seconds. Stir until smooth. 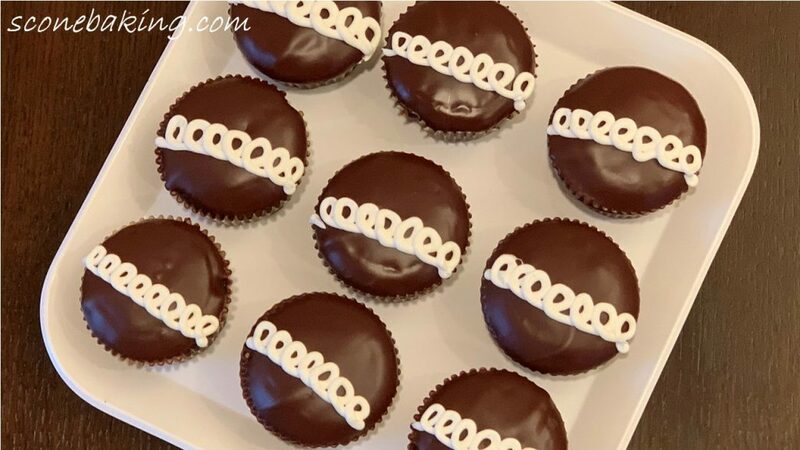 While chocolate glaze is still warm, dip the top of each cupcake in the chocolate glaze, letting the excess drip back into the bowl. Let the chocolate glaze set on the cupcakes, about 10 minutes. 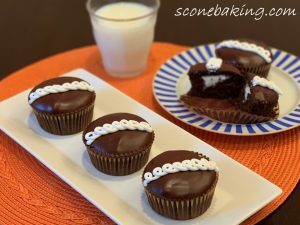 While the chocolate glaze is setting up, in a stand mixer fitted with the whisk attachment, whisk together sifted powdered sugar and meringue powder on low speed until combined, add 2 Tbsp. cold water, increase to medium speed until combined, then increase speed to high for 5-10 minutes until smooth. Add more cold water to get royal icing to piping consistency (up to 1/2 tsp.more). Fill a piping bag fitted with a #5 tip with the royal icing. Pipe 7 curlicues on each cupcake. Serve. Cupcakes can be stored in an airtight container at room temperature for 2 days, or in the refrigerator. They also freeze well.